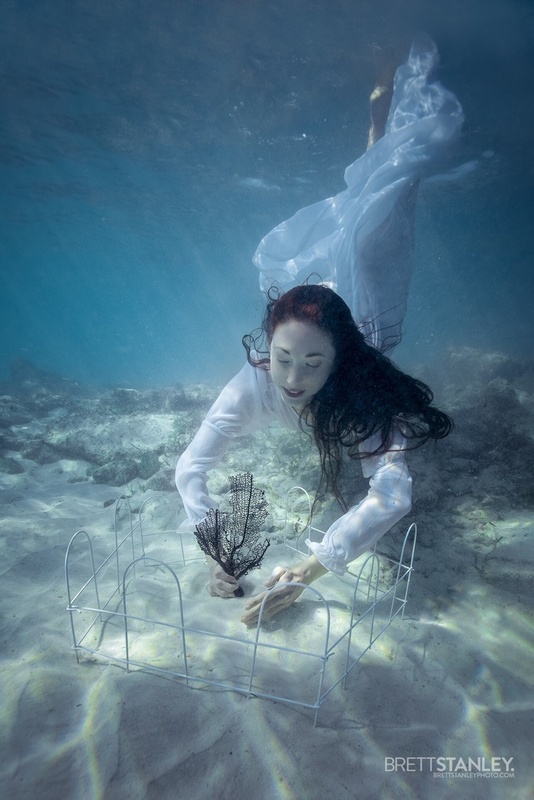 After reading an article in ScienceDaily about how bottom trawling impacts the ocean to the extent that the effects can be seen from space, Christine Ren decided to make this the next focus of her underwater imagery. Teaming up with Brett Stanley they traveled to a location in the Bahamas after receiving an award from Redbubble named Create Some Good. 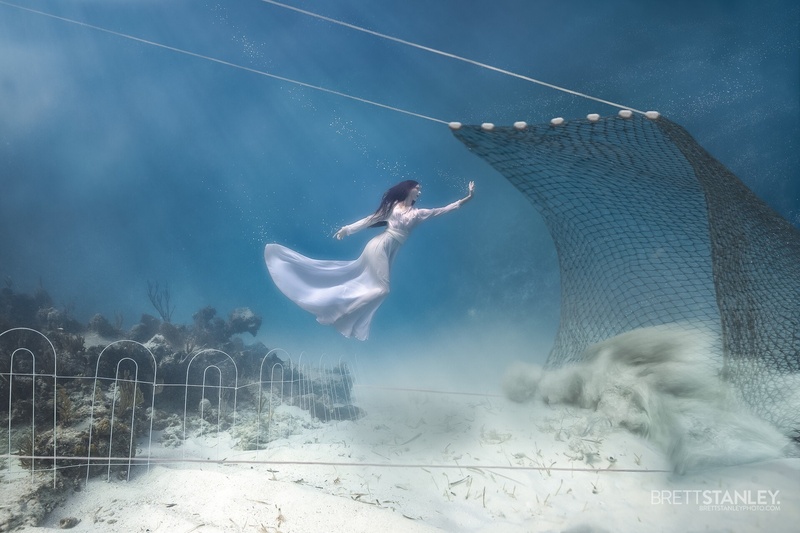 This conceptual shoot was to be photographed underwater about the effects of bottom trawling. "Protect What's Precious is a narrative underwater photo campaign aimed at conveying how the creation of Marine-Protected Areas (MPAs) help safeguards the ocean from trawl nets that bulldoze the seafloor. I'd been wanting to tackle trawling for a long time now but in discussing with my underwater photography collaborator Brett Stanley, we knew it had to be staged on or around an actual coral reef which becomes much more costly than shooting in a local Los Angeles pool" Ren wrote. Prior to their shoot, they worked with Joe Hoddinott to create a storyboard they would use to bring to life. In September 2018, after receiving the grant award, the team was on the clock to meet the deadline to deliver the entire campaign by mid January of this year to post on Valentine's Day. They had to hire a local guide and private dive boats. "Shaun Osborne of Bahama Island Excursions, donated his boat, besides fuel, captain and safety costs, for us to use and without him, we couldn't have pulled it off" Ren wrote. 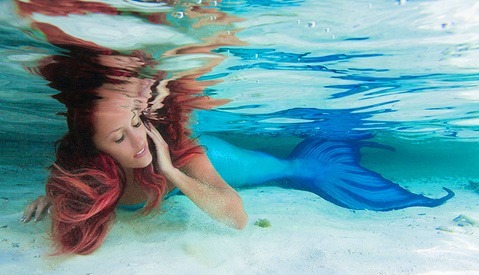 Some of the difficulties of this shoot besides keeping within budget was the temperature of the waters. On the surface it was mid 70s however Ren was 15-20 feet below the surface in a dress making her breath holds more difficult. Next on the horizon, Stanley and Ren will be teaming up to create another campaign about the harmful effects chemical sunscreens and coral bleaching. Ren will be shifting gears more this year to release less content but working double time behind the scenes. With over 500 hours of YouTube videos uploading every 60 seconds according to Ren, it has become more difficult to get these messages across. "I want to build a multimedia engine powered by an underwater dance company whose performances are projected in immersive environments at large galas" Ren wrote. 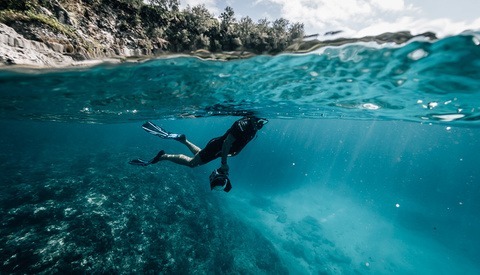 You can help take a stand by donating to Mission Blue, a non-profit dedicated to igniting public support for a network of global marine protected areas. 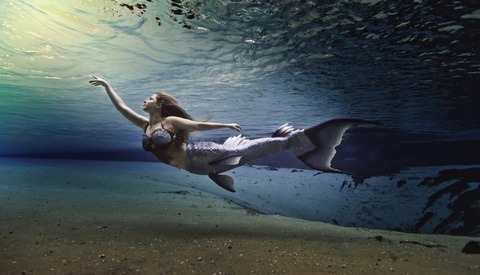 It obviously helps to have a model who's comfortable underwater, especially wearing that flowing dress. Bottom trawling is basically clear-felling, one time harvesting of a finite resource. 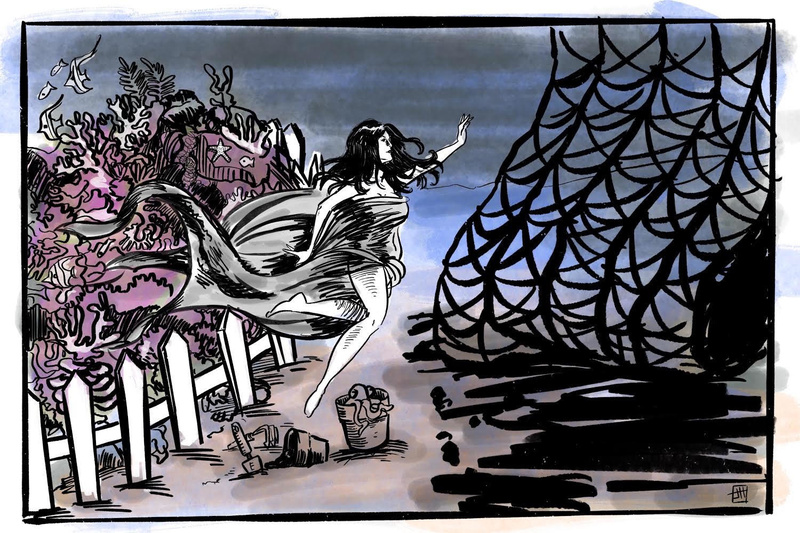 I volunteered at The Ecology Action Centre in Halifax back when I was a law student. We worked really hard to try to get legislation to forbid certain kinds of trawling. It really is shocking how little people understand the cost of their food choices. Beautiful set, I do hope it helps to make a difference. This is unlogical, fishing via trawling doesn’t hurt the oceans. You have a little bitty boat with a teenie tiny net on a gigantic ocean! I have read that you can fit every person on earth, in a space as small as Texas. And comfortably so. Yeah, this project is about as profound as VonWong’s photo essay on the dangers of laundry fuzz!